Ultimate IT has many years of experience in designing, implementing and support a range of network services, tailored to our clients business needs. We understand the importance of reliable systems and effective communications for our clients to operate efficiently, be responsive and maintain a competitive advantage. Maintaining competitive advantage is a key aspect in winning new business and keeping existing clients happy in a competitive world. This often involves implementation of new networks or migration of existing systems to new environments. It typically includes an information migration process where data is transported between computer systems, server infrastructure, software platforms, and storage devices and can often stretch to different physical locations. These are key considerations for any system implementation, upgrade or consolidation. The more complex the networking environment, the more difficult the migration project will be. Should migration not be properly planned, there is a high risk of data corruption and information loss – resulting in unplanned outages and business disruption. We also support a range of servers, desktops, networking equipment and various applications backed by industry trained professionals. By utilising remote support technology, users no longer need to wait for engineers to attend onsite to resolve problems as in most cases support can be performed instantaneously. Remote support is particularly useful for organisations that have users dispersed in multiple locations, road warriors, home offices and remote satellite offices. Our network support services align with ITIL processes to ensure quality standards of work and consistent remediation of issues and problems. We back this with guaranteed Service Level Agreements (SLA) to ensure timely response and problem resolution. 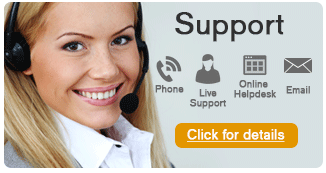 Unfortunately not all problems can be fixed via remote support so we also offer onsite support as required. Our ULTIMATE CompleteCover and ULTIMATE CoreCover offer managed network support services and can include onsite support response as standard. Ask us about fixing your network support costs, receiving fast remote support and priority onsite network support services. When it comes to our business clients, no matter whether they are small or medium; they are all looking for support they can depend on. We at Ultimate IT Services understand that and that is the reason why our business model is structured in a way so that we can offer our clients what they need every time. We are available 24 hours a day with our monitoring services because we know that anything can go wrong no matter what the time. We identify the issues and rectify and resolve them –we monitor services 24/7 but we don’t necessarily resolve them 24/7 so that your business does not have to deal with any down-time. Whether it is reduction of overhead costs or the ability to maintain smoothness of operations, our networking services will certainly be an advantage. With us to help you, you will be able to save on your overhead costs. How? Well, our networking support services in Sydney are available at affordable prices. We are happy to bring to you a huge variety of IT support services in Sydney: all of them at great prices so that you can keep your costs low. That’s right. At Ultimate IT Services, we are proud of having a great team. They are professional (may we please include and emphasize here that they are local and not situated offshore? ), accredited and certified to work in this essential industry and you will find them to be helpful and courteous and our network support in Sydney services are always world-class. It is with pride that we say that we have scores of important clients spread through many sectors and we help them with our knowledge and skill of networking almost on a day-to-day basis. We can help you too so that you understand how different we are from our competitors. Whether you need on-site support or online networking in Sydney support, we are the company to trust without a second thought. We at Ultimate IT Services are available at our phone number 1300 ULTIM8 so don’t hesitate to call us for the best networking in Sydney services.